VIEW FROM WEC – Masamichi Mizuta, President of Japan Staffing Services Association on market trends. Q: What are the main challenges and opportunities currently facing Japan’s labour market? A: The Japanese economy has enjoyed continuous, moderate growth over the past seven consecutive years – a period of 74 months. The actual GDP growth rate for the fiscal year 2018 is expected to be 1.5 per cent, and growth is still predicted for the fiscal year 2019, despite concerns over foreign economic issues such as trade between the US and China. This economic growth has been delivered against the backdrop of an imbalance in supply and demand in the Japanese labour market. The country has a long-term labour shortage and a jobs-to-applicants ratio of around 1.6 - the highest level in 44 years. By contrast, the unemployment rate is very low level – around 2.5 per cent – which is essentially full employment. Particularly challenging is Japan’s very specific set of demographics which are impacting its labour market: it has a low birth rate and an ageing population – ageing at the fastest speed in the world. The Japanese population peaked at 128.55 million people in 2010 and then dropped to 127.97 million in 2015. This trend is set to continue and between 2015 and 2050 it is estimated that the population will fall a further 19.17 million. Meanwhile, it is estimated that the number of people aged 65 years and over will reach 36.4 per cent of the population by 2050. With a rapidly falling birth rate and an ageing population, the working-age population – those aged between 15-64 years – peaked in 1995 at 87.77 million. By 2010 it had dropped to 82.46 million, and by 2015 it had fallen a further 4.41 million to 78.05 million people. By the middle of the century it is estimated that Japan’s working population will have reduced to just 55.56 million. Hence labour shortages are expected to become increasingly serious in the years ahead. Q: What are the main issues related to the future of work discussion? A: In order to secure the manpower needed to cope with the impact of a low birth rate and ageing population, it is important that Japan increases labour market participation among both the working-age population and among those people aged 65 and over. We urgently need to create a labour market that is more open and can accommodate a wide diversity of workers – including improving the environment for accepting foreign workers by loosening legislative restrictions. At the same time the Japanese government, employers and trade unions recognise that it might be inevitable to look to fill the labour shortage by increasing productivity through both reforming the way in which we work and embracing the use of new technology. A variety of new programmes have already been established to address this. In addition, it is very important that measures are taken to address the changing structure of the Japanese economy. Q: How prepared is your market for the changing world of work? A: The Japanese government has promoted a “Work-Style Reform” to address this. It has held a dialogue with both the employer’s organisation and the central organisation of trade unions and revised labour laws with the objective of making the labour market more accessible for a more diverse set of workers and increasing the productivity of every worker. 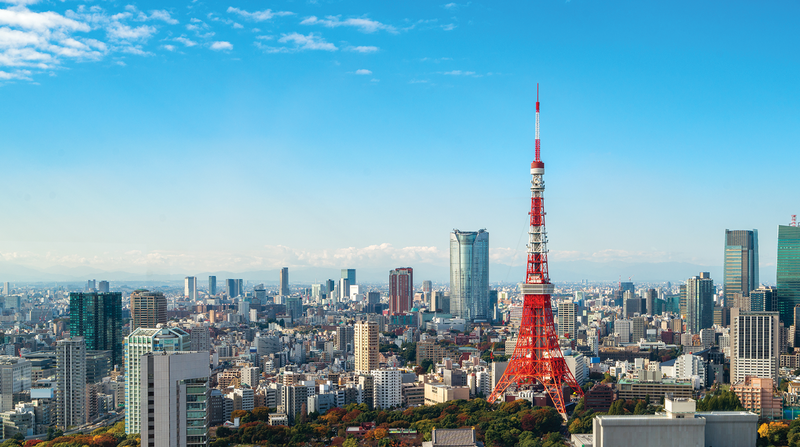 Japan’s labour laws have already undergone wide-ranging revisions and the government will continue to introduce further reforms in the future. Key initiatives include: Setting an upper limit on overtime working hours; Requiring employers to promote the taking of paid holidays among their workforce; Equal pay for equal work; and the accepting of foreign workers. Q: What action is your organisation taking to support your client companies and workers lead in a changing world of work? A: The Japanese HR services industries are taking a variety of measures to address the changing labour market. For example, they are broadening the scope of HR services offered and linking with other services in order to meet a more diverse set of user needs. JASSA is working with parliamentarians, the administration, employer’s organisations, trade unions and other stakeholders to create regulation that reflects the actual situation in the labour market. We are also supporting clients in coping with the impact of labour market changes and the implementation of the government’s new ‘Work-Style Reform’. Indeed, JASSA is frequently in dialogue with stakeholders over issues such as setting an upper limit on overtime working hours, requiring employers to promote the taking of paid holidays among their workforce, an equal pay for equal work. Moreover, we share information on such policy trends and have put various schemes in place to support member companies in coping with new regulation. Key initiatives include an e-learning programme and training sessions to support compliance among member companies as well as e-learning programmes that offer career development for agency workers.